The gunners will be making a stand off with their arch rivals Manchester City as they battle for the Carabao Cup on Sunday. Most gooners are wondering who will be beginning as the Arsenal goalkeeper on Sunday in the finals against the citizen’s because it is an important match which will need only their best players to begin the match. “I will be there with the team supporting but I donot expect to play. It is always hard to watch any game from the bench or even from the stand if you are not selected.’ the player told the Telegraph. This is quite a clear hint that the Czech Republican international will not be starting the match on Sunday but you cannot be sure because such decisions are always in the hands of the manager so we will see what the decision of Arsene Wenger will be. 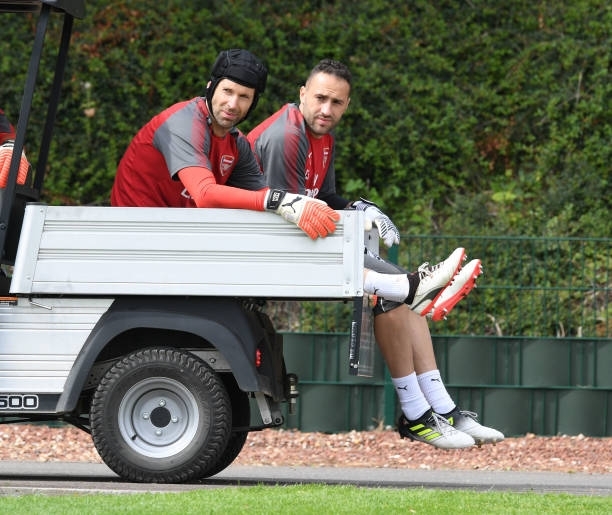 Petr Cech has been under performing in the recent weeks which has made him to lose favour of the fans who will be urging the manager to start David Ospina in that match, the Colombian international saved a penalty in the gunners match in the Europa League.